Of all the characters who littered the strange campaign of 2012, none was a bigger laughingstock than Rick Perry, who will go down in political lore for three things: threatening bodily harm to the chairman of the Federal Reserve, declaring that our staunch ally Turkey is run by "Islamic terrorists", and, oops, I can’t remember the third thing. But now that the election is over, it’s looking like Perry had the last laugh. It’s been so long now that it’s easy to forget, but 15 months ago, the governor of Texas was looming as a force to be reckoned with. After mulling a run for president, he decided to jump in, with a potent fundraising base and the presumptive support of most of the delegate-rich South behind him. Sure, he wasn’t considered the sharpest pitchfork in the barn, but he had never lost an election and, with his brief flirtation with secession, had tapped into the anti-Washington fervor of the moment far better than any other Republican in the field. Premier national political magazines dispatched reporters to do long profiles of him. And the frontrunner for the Republican nomination fatefully decided that Perry was such a threat to his prospects that he would … try to destroy him by running to his right on immigration. Mitt Romney repeatedly attacked Perry for his support of in-state tuition for undocumented students at Texas colleges, declaring at one debate that it "made no sense at all" and running what was probably the nastiest ad of the primaries, a Web ad (since disappeared) that concluded with a clip of former Mexican president Vincente Fox praising Perry, as if that in and of itself was disqualifying. (Separate from the attacks on Perry, Romney also declared he would veto the Dream Act, which provides a route to citizenship for young illegal immigrants, and proposed a policy under which undocumented residents would "self-deport.") It was a brazen gambit. For one thing, Romney had had a spot of trouble some years earlier for employing illegal immigrants at his Belmont, Mass. manse, which Perry made sure to mention in what became the most heated exchange of the primary season. For another thing, it cynically overlooked the reality of Texas, where vast numbers of young undocumented residents are a reality to be reckoned with and where the tuition policy had broad legislative support. 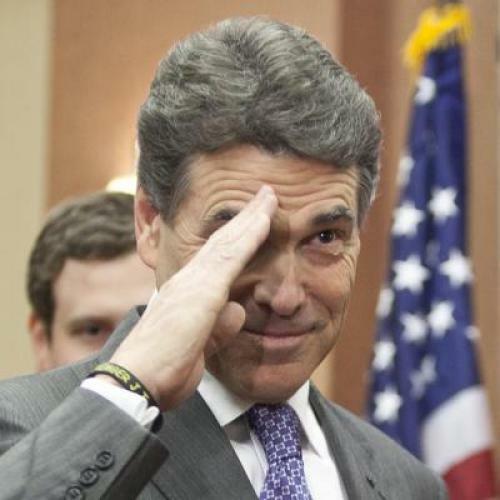 It was left to Perry to utter the defense that arguably sealed his fate even before his debate snafu: "If you say we should not educate children who come into our state … by no fault of their own, I don't think you have a heart." But even as Romney was glorying in the move, its risks were plain to see. After vanquishing his foes amid a virtually all-white primary electorate, Romney was going to face a general election in which he could not afford to do worse than John McCain had with Hispanics—a 32 percent share. His harsh rhetoric was, for many voters, going to be inextricable with the litany of Republican callousness on the issue—Tom Tancredo, Maricopa County Sherrif Joe Arpaio, Arizona’s draconian anti-illegal immigration law and its copycats in Alabama and elsewhere, and on and on. Hispanic Republicans warned Romney to cool it, but he blustered on. What was he thinking? Probably, that he had managed so often in other contexts to play the opportunistic Etch-a-Sketch game, so why not think he could do the same here? Come general election time, he would have his son Craig tape Spanish-language ads, and would load up the Tampa convention with Hispanic Republicans, and would appear at a Univision forum with an oddly-tinted skin tone. No dice. As the campaign went on, it became clear that Romney's immigration flanking of Perry was an "original sin," as Ron Brownstein put it. In a year when many Hispanic voters surely were gettable, out of frustration with a slow recovery and Obama’s failure to pass comprehensive immigration reform, Romney’s share of the Hispanic vote on Tuesday plunged to 27 percent—while the Hispanic share of the electorate ticked inexorably up by about a third, to 10 percent. Somewhere in West Texas, a man in cowboy boots named "Freedom" and "Liberty" was cackling. A final cautionary note on this: even as the Republicans’ woes with Hispanic voters are drawing overdue attention—even Charles Krauthammer was hitting Romney on this score after the votes came in—it is important to keep some regional context in mind. The GOP’s Hispanic deficit is a huge Electoral College problem for the party in Florida, Colorado and Nevada, and will soon become a problem in Arizona and maybe even Georgia and (dreamers can dream) Texas. But it is a negligible factor in the Democrats’ Midwestern firewall, the swath of states that guaranteed Barack Obama’s victory Tuesday night: Ohio, Michigan, Iowa, Wisconsin and Minnesota. While it’s proper for demographers to herald the Democrats’ expanding, multi-hued coalition, it is also worth remembering that Obama won Ohio because of a) huge turnout by African-Americans and b) his ability to hang onto far more working-class white voters than he did in other parts of the country—and to even pick up some more along the way. Check out this terrific New York Times map showing the shifts in party support between 2008 and this year. Not surprisingly, given Obama's narrower edge this time around, most of the country shifted red to a certain degree. But look what shifted more Democratic even than in Obama’s big 2008 win—much of central Ohio. Much of that is due to the increasingly cosmopolitan Columbus metro area. But it’s also a reflection of shifts in deeply middle- and working-class towns like Chillicothe, the seat of Ross County, where Obama somehow managed to improve substantially over his 2008 vote share. In places like this, what mattered was less Mitt Romney demagoguing Rick Perry on immigration than his blithely offering the Texas governor a $10,000 bet.